In this guide you'll find locations and directions to all of the perk machines in the Final Reich zombies map. With the introduction of COD WW2 zombies, Sledgehammer have once again changed all of the perk machine names and even thrown in a few additions. Classic perks such as Double Tap, Stamin-Up and Electric Cherry all return, albeit with slightly different names, whilst a new melee damage perk makes its first appearance via Faustblitz . Interesting, the classic Juggernog perk machine has been removed from WW2 zombies, well at least it has from the Final Reich map. 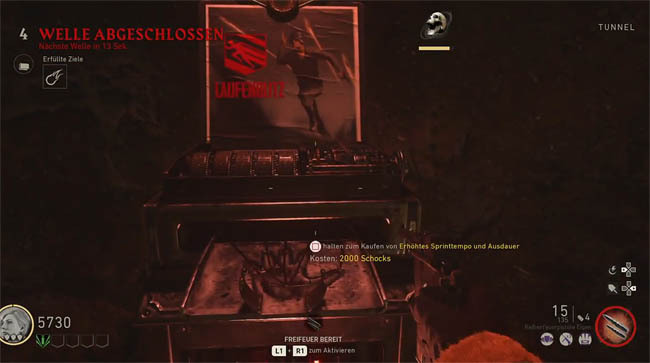 An early game leak provided speculation that a perk machine named "Heilblitz" would provide double health, similar to the Jug machine from Treyarch zombies. 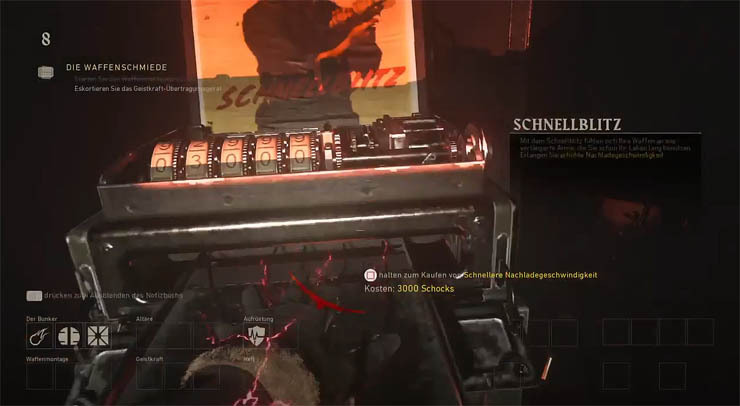 However, this Heilblitz perk machine has not been found in the Final Reich map. Instead, players have the option to purchase armour from perk like machines. This armour has a cumulative price increase (i.e. the more you use it the more it costs) but it does provide the same benefits as Jug used to - protecting the player from attacks by increasing the number of hits before the player goes down (dies). Below, you will find all of the perk machine locations, including this new armour addition. Effects: Auto revive SOLO and faster revive in team matches. One of the most important perk machine for SOLO players, Lebenblitz provides an automatic revive when downed which can be used up to three times. Without Lebenblitz, the game immediately ends when you die this making this perk machine an essential purchase for prolonged games. Lebenblitz has far less importance in group games and most players will avoid it unless money is in abundance. Effects: Increased sprint speed and endurance. After finding all of the has units and increasing the pressure to 60, players can interact with the device near to the wooden platform and sewer gates in the Village Square to ignite the gas and explode the platform. Jump down the hole and into the sewer. The Speed Cola perk machine is directly in front of you. A new addition to the perk collection, Faustblitz behaves like the thunder fists from Origins, providing the player with increased melee damage. After opening the bunker door, head through the tunnel and into the large control room with the mysterious pyramid device on the floor. Head up the stairs to the upper platform and the perk machine is directly in front of you. From the bunker area (where the pyramid device is), open the Laboratory door (cost 1500) and follow the route onwards and round to the right. The Schnellblitz perk machine is in the corner. Acting like Speed Cola from past zombies maps, Schnellblitz decreases the reload time for all weapons, particularly useful for larger SMG's which take a long time to reload. Effects: Increase protection from attacks. Location: Various (Upstairs from Schnellblitz, Village Square, Salt Mines, Riverbank). Cost: Increases the more times used. Say hello to your new friend in COD WW2 zombies! 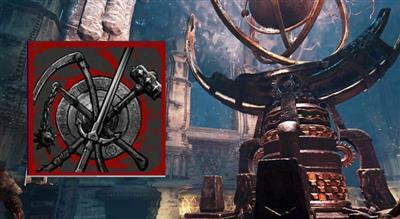 Replacing one of the most important perk machines in zombies history (Juggernog), armour plating behaves in a similar way. Initially costing only 500 points, armour increases in price the more times you use it. Purchasing armour will provide protection from zombie attacks, increasing the number of hits it takes before you go down (die). The best players will always ensure that they have ample armour plating!! Effects: Provides an electric shield when reloading. Location: Laboratory (near to tunnel trap). Schildblitz is your electric cherry equivalent in COD WW2 zombies. 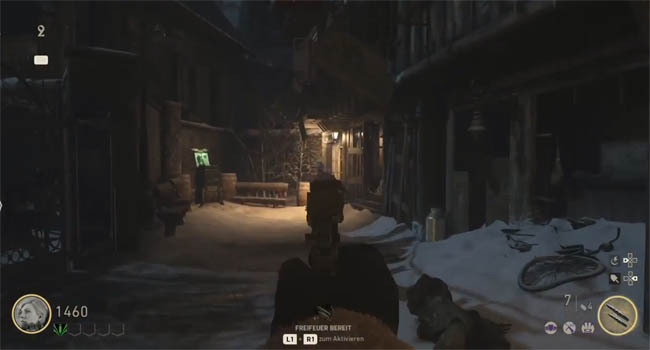 Upon reloading the player receives an electric overshield that stuns and even kills zombies in close proximity. This perk is extremely advantages at high rounds when the possibility of being overrun increases dramatically. Directions: The perk machine is located in the laboratory area, just beyond the tunnel trap. Pass through the the bunker to the larger room with the pyramid, take the lab door (1500 points) and follow the route through the tunnel trap and out the other side. Kugelblitz is your Double Tap equivalent in WW2 zombies, providing increased weapon damage for all of your weapons. This perk is particularly useful at higher rounds but don't make the mistake of buying it too early otherwise you'll sacrifice points early in the game because of shorter kill times. Directions: The Kugelblitz perk machine is located in the Pub/Bar which is on the opposite side of the Village Square. For exact directions follow this route. Face the bunker door, turn 180 degrees and run straight until the corner of the map. Buy your way through the Pub door for 1500 points. The perk machine is just inside the building, in front of the bar tables.